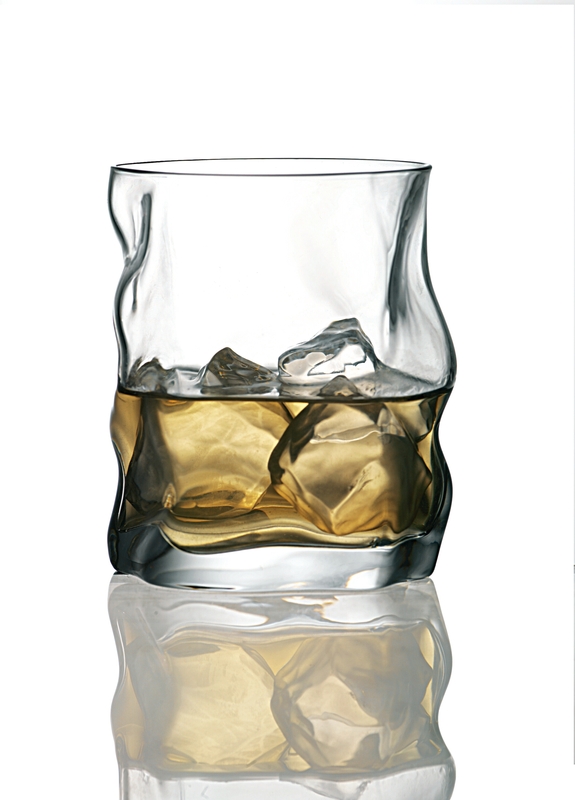 Enjoy scotch, whiskey, and other drinks at home with this set of four Sorgente double old-fashioned tumblers from Bormioli Rocco. Made of beautiful, durable glass, this set features a unique design that makes the glass appear crumpled. This irregular shape gives the tumblers a modern feel that is perfect for entertaining, and makes them easy and comfortable to grip. This set makes a great addition to any home bar and is dishwasher safe for easy cleanup.